After last week’s wash out and my early call on training cancellation tonight (took a punt but as it turned out we could have trained) it will be nice to get on the park for some cricket this week before heading into the break. This week’s game will be a combined Ankylbyters Blackbeards & Buccaneers team as unfortunately the Buccaneers opponents, Vermont South forfeited on the basis that a few of the dads preferred to go out drinking instead of committing to the fixture the Association works diligently to provide. Despite Rob’s protestations that our bar would be open and most accommodating they opted for parental self interest. Blackburn have very kindly agreed to play an extended game (120 balls) to accommodate the increase in our team size. Can the respective team managers please liaise and sort out arvo tea. As Blackburn are filling in for a bye (again) we want to be gracious hosts. Due to last week’s rain out this week’s game will be a one day game with each team batting for 22 overs. Last week the club was saddened by the sudden death of Christine Salter (wife of Brett and mother to Ben, Hayden and Ryan – Milo). The club placed a death notice in Thursday’s Herald Sun and as a mark of respect this week all Ankylbyters and Under 12s players will be asked to wear black armbands on their right arms. On field officials will also be asked to wear the armbands. Our deepest condolences are with the family and friends of Christine. 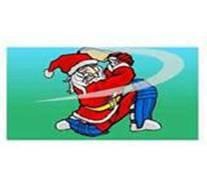 Friday 21 December – Nunawading Pirates Christmas Party. This is the Friday after our last game before the holiday break. There will be chicken, salads, pizza & desserts as well as some fun activities for the kids. Santa will be in attendance so if you would like your child to receive a present from Santa please bring one along clearly marked with your child’s/children’s name/names and Santa will hand them out. Try to keep the scope of the present within a reasonable cost as we don’t want to see an imbalance between the various kids’ gifts. The cost is $10.00 per adult & $5.00 per child. The price will be capped at $30.00 per family so if you have two adults and four kids attending it will only costs the same as if you had two adults and two kids. This encourages families to bring siblings & friends. Please RSVP you intention to attend to David Cowell (only) at dgcowell if you have not already done so. If play is cancelled due to rain the Christmas Party will proceed as planned. Training will resume on Wednesday 30 January 2013 at 5.00 pm. In the meantime I would like to say a big thanks to everyone for a great first half of the season and wish all families a very Merry Christmas and a safe and Happy New Year.